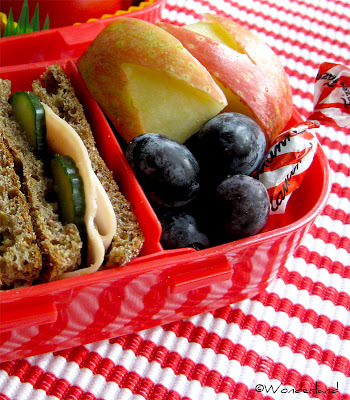 Since here is becoming darker and darker everyday (kaamos is coming...), I try to cheer myself up making some colorful cute bentos. 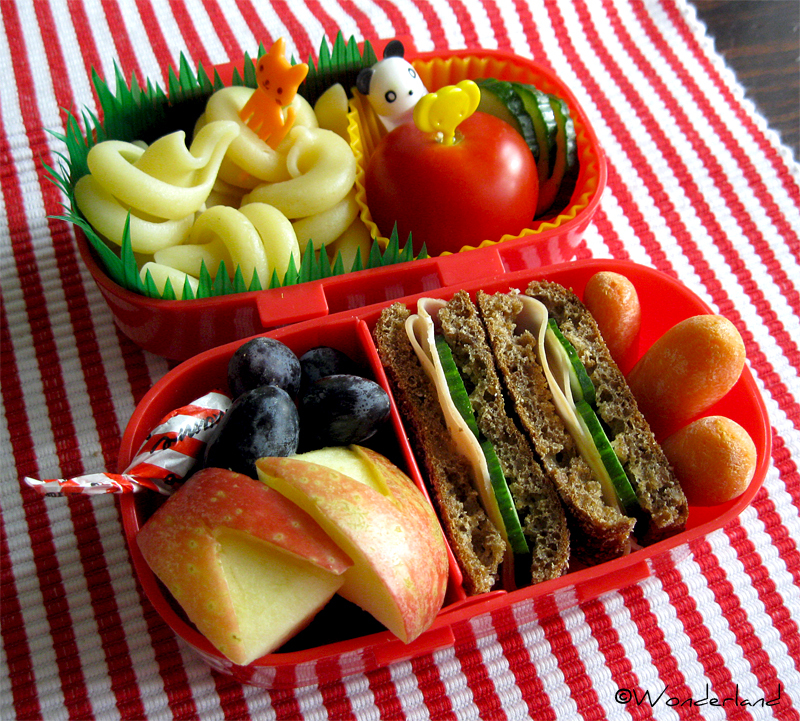 Bento is Japanese style packed lunch, you can find more info about bento in this post. So, in the top tier there's some simple pasta with cherry tomato and cucumber slices in the cup. 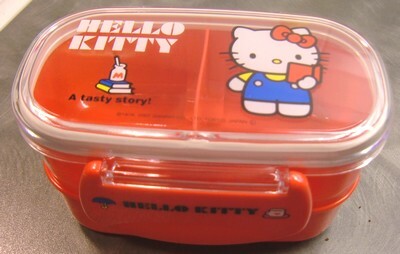 As for the bento box I used, it's my small red two tier Hello Kitty bento.